Any number of mistakes are possible when building natural pools. 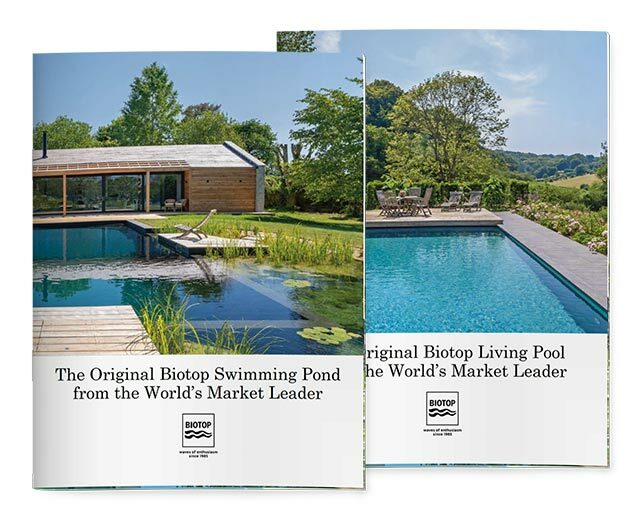 If you own a Natural Pool that is no longer functioning properly, we would be more than happy to retrofit it for you with the latest Biotop equipment, with an eye to both reducing the amount of maintenance work needed and making it more user-friendly. The amount of space required for the project and the specific conditions at the site will determine the most suitable option for retrofitting a pool with the latest equipment. This includes installing a curved screen skimmer, a submerged pump chamber and a biological filter system with a phosphorous filter. Once thoroughly renovated, the Natural Pool will reduce the amount of maintenance work needed and increase user-friendliness as well as provide enjoyment for many years to come. The Converter System is particularly well suited for Natural Pools, where no equipment has been installed, where water quality is less than satisfactory or where excessive algae growth has become problematic. Renovating a Natural Pool puts a stop to the natural sedimentation process: Over time luxuriant plant growth can reduce water volume, but renovation literally gives the pool fresh air to breathe. A Biotop partner company will thoroughly clean out the regeneration zone, replace the substrate and put in new aquatic plants.